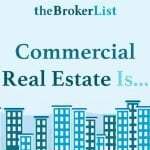 What is theBrokerList? 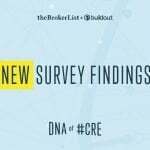 theBrokerList tool is an opt-in way to unite all of our cre organizations and the affiliated members so we may message and find each other or groups of our colleagues and save those lists for future reference. 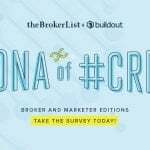 Who can join theBrokerList? 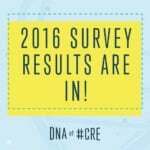 Anyone from any organization or affiliation involved in the cre industry. Managing brokers, leasing brokers (product and tenant reps), investment sales brokers, property managers, appraisers, cre attorneys, cre accountants, cre project managers, in other words, everyone involved in cre, whether office, industrial, retail, multi-family, hotel, corporate, etc. Our method is simple, if you are an affiliate or a cre industry organization or work for a cre firm or property, you may join!! To upload your team, simply download our template and email to us at [email protected]. Can we upload our entire office and invite our team? Yes, follow the steps below. ~2. Email the completed template to [email protected]. ~4. Once we get the list we will touch base with your Admin and coordinate the rest! ~5. If you are an office of 3 or more brokers, please use our Add Brokers form to add your entire office! Is theBrokerList vetted for spammers or non-industry participants? By indicating your affiliated organization, designation or firm, we are able to confirm you are a legitimate member of the community. If not, your account will be terminated. 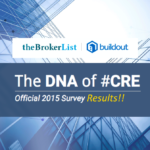 How many registered users are there on theBrokerList? Great question! On the Home page, before you log in, there is a block of photos of our members. Above the block there is a title of Featured Brokers. Adjacent to that title is a number, it counts each time a new member joins. The other number tracked on this page is the number of company members. Inside the far right block on the Home page is a title of Who is Using theBrokerList. Directly under that title is a count of business members as well. Thanks to Marion of GPE1 for that FAQ submission! How do I manage or block emails from senders I am not interested in? Simple. If you receive an email from a sender and you wish to block that sender. Scroll to the bottom of that email and click on the Block future emails from this sender link. When you send messages do you see the email addresses of those you sent messages to? No. If someone replies to your message, you will then see their email address, but not until or if they reply to your sent message. When I send a message how do I see a copy of it? Each time a message is sent you will be copied on that message. If you wish to send a test message, simply send a message to yourself and feel free to send one to me (Linda Day Harrison) as well. I am happy to offer guidance or feedback on your email. (I was a spelling bee too!) Simply search for Day or Harrison as the last name and use that name to send a message. Once the message is dispatched from the server, you will receive a copy for your review as well. Once you are happy with the message, you may send the real message to the actual list you select. How long does it take for a message, HAVE or WANT post to process? Each message or POST sent is delayed in our email or post queue for quality control reasons. Messages or Posts with inappropriate content or spam-like messages will be filtered out. For that reason you can expect a delay. Depending on our traffic volume, it may take as long as 30 minutes or longer before your message is released. For that reason, if you change your mind, contact us as soon as possible as we may be able to delete your message from the queue if not too far into the process. Please call us at 312.212.3611 or email us at [email protected] to stop a message. As we learn our members, this may become an instant feature, but for the near future, we delete or screen our all inappropriate content. Can I use social media like Twitter to push out a HAVE message? Yes, plus Facebook, LinkedIn and Google+. Simply add your HAVE message and when done, click the toolbar icons to select which method or all methods to push your HAVE out. Be sure you have a Twitter, Facebook, LinkedIn and Google+ account so you can connect those to your streams and pages. Who is in charge as I want to speak to a human being for technical support? Great as we only hire humans. No robots here! Please call us at 312.212.3611 or email us at [email protected]. We are generally on duty 7 days per week, but there are times our response may not be as swift due to life’s demands. It is our goal to respond as fast as humanly possible. I am not a member, can I use theBrokerList? 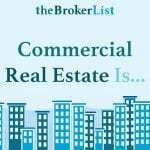 Yes, you may search our member HAVES and WANTS, along with our member profiles if you are looking for a commercial real estate professional. Out site is totally open to the public and there is no login or sign in required. How much does it cost to join? It is FREE. How do I join? Just login and complete the profile as thoroughly as possible. 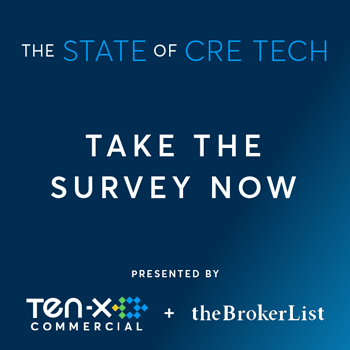 We do reserve the right to delete folks who are obviously not in the commercial real estate (cre) industry. If we delete your account, you will be contacted prior to this so you may state your case and explain to us further your involvement in the cre industry. How do I delete my account? Login, Control Panel, last button, click “Delete Account”. I tried to Login but the system prevented me from doing so, what is going on? In the event you have any issues we need to know a few things so we can troubleshoot your problem. 1) what was the error message, if any; 2) what browser and version are you using; 3) what operating system and version are you using; 4) screenshots are great as you can email it to us and we can clearly see your issue. Email [email protected] or call us at 312.212.3611 if there are login issues. How do I connect to my LinkedIn account? Click on the Login with LinkedIn button on the home page. I was on the first version of this site and it looks different. Do I have to sign up again? Yes, we have totally changed our entire site and we truly apologize. It was our best intent to migrate all of the original users to the new site, but there was no good way. We did try. If you are experiencing any issue with signing up again, please contact us via email at [email protected] or call us at 312.212.3611 so we can arrange to assist you personally. I do not see my designation. How do I display it? Email us at [email protected] or call us at 312.212.3611 to tell us your designation and we will add that to the list promptly. We need the full name of the organization along with the URL of the website and the acronym. For example — Certified Commercial Investment Member; http://ccim.com; CCIM. I do not see my organization. How do I display it? Email us at [email protected] or call us at 312.212.3611 to tell us the name of your organization and we will add that to the list promptly. We need the full name of the organization along with the URL of the website and the acronym. For example — CCIM Institute; http://ccim.com; CCIM. I do not want to list my address. Can I skip that We require a geographic location to help members locate other members within a certain geographic proximity, but you may use NA for the address, but the city, state and zip is required so the map search is as accurate as possible. How do I send a message to my custom broker lists? Whether it is a general text message or a HAVE or WANT you wish to email, watch this video for step by step instructions. How do I create a custom broker list? Search the database to identify colleagues that are likely to have an interest in your project or property. Select those folks and add them to a list you name, for example Retail-Chicago. Watch this video for step by step instructions. Why do some people show a LinkedIn logo on their profile? They have used LinkedIn to login to the site. I am an international cre professional and my geographic is not found. How do I join and display my geographic accurately? Coming soon. Feature not yet available. What is the blog button for? The blog is a diary of the day to day changes happening to our site or new information we wish to share. It is also a place where we can showcase a member or something special, say a commercial real estate (cre) of interest story or event. Have a story to tell? If so, email us your blog article idea and we can exchange blog posts. How do I search for a colleague? Click Search Brokers. Enter a last name and run the search. I have a great idea to improve theBrokerList. Where can I send it? Send your genius ideas to us at [email protected] We love to hear great ideas on how we can improve the site. How do I add website URL links to my profile such as Loopnet, SlideShare, Twitter, my Company website, my blog or Facebook? Simply go to Control Panel, Profile button, Site Tab. Click the drop down box to show the list of site labels. Select a label, enter the URL that is applicable and click Save Website. Repeat for each site you wish to add. How do I make changes to my Company profile? Click Control Panel and the Company Info button. There are 4 tabs you may select from: General, Background, Websites and Phone Numbers. Be sure to add your Company URL links here and Logo too. Please note that the background area permits html. Using html will make your profile appear much more professional and provide formatting such as bold text and spacing. 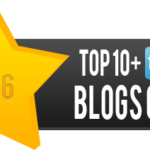 How do I submit a blog post for consideration? Email your blog post to [email protected]. We will review your blog post submission and let you know when you can expect the blog to post. Only members of tBL are considered. The tBL Marketplace Advertiser members are currently the only monetary support of the site. The founders have opted out of traditional advertising formats and the founders have not received any other compensation to date. There are several ideas to monetize the site, but the first order of business is to determine if the site is viable and delivers a service to the industry. If the site does not deliver a service, the site is pointless. 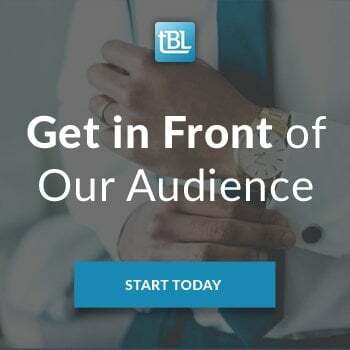 Feedback from our members as well as word of mouth is vital for the site so it may deliver on its original vision of being a list of commercial real estate professionals, creating a virtual network and B2B collaborative resource. How do I submit news like new hires, done deal, press release or event? We no longer create blog posts and distribute news for our members manually. All blogs and news must come in via syndication through our blog community system. If you have your RSS feed included on your profile AND you give us permission, we will use that feed to pull in your content. We no longer have the Add News form system. Do you have a handout or literature I can distribute at my next CRE association or organization function?Yes, if you click here, you may download and share this .pdf which explains the benefits of your local chapter association joining theBrokerList. How do I change my company name? To maintain the integrity of our site, the company name must be submitted to us so we my verify that new company is a commercial real estate firm. Submit your new company name to us at [email protected]. Why is my profile not yet verified?To maintain the core value and focus of our site, we must be able to verify you are a real person and you are really in commercial real estate. We do this by doing an online license search, organization affiliations, email address domain names, by viewing your online profiles and by visiting your company website. For those working with the major firms, like SVN or Lee or NAI, those are easy to verify as many of those members use easy to verify and recognize email addresses. Our team members are actually in the business so they know exactly what people in commercial real estate use as online tools to verify profiles. Example would be listings on Loopnet. If you say you represent listings, etc. where are they displayed online? If you use a free email account like hotmail, gmail or yahoo, we go through extra rigors to check you out. We even call people on the phone to find out why they are using hotmail, but say they work for SVN or a Lee or NAI office. Those are red flags. Many people never get verified. Also our site is free for verified commercial professionals only, so if your focus is single family residential sales, we are not currently offering our free platform to that segment of the industry. If you are not verified and you are legitimate, feel free to call us too! We are here to help get you verified. I updated my photo on Linkedin, but my photo on tBL has not changed? Great question. Since our systems are talking to each other using the Linkedin API, it is necessary for you to log out and log in to get the systems to update each other. Once you log in and log out, refresh your page and the new image should transfer to our site. Does the pop up Contact Us go to anyone? Yes, we are here to answer live chats or if we are busy with other customers, the box will say Contact Us. In either case, we will receive your inquiry, whether we are able to answer live or not. Please feel free to live chat us, we love it! Click here to add a question not shown?